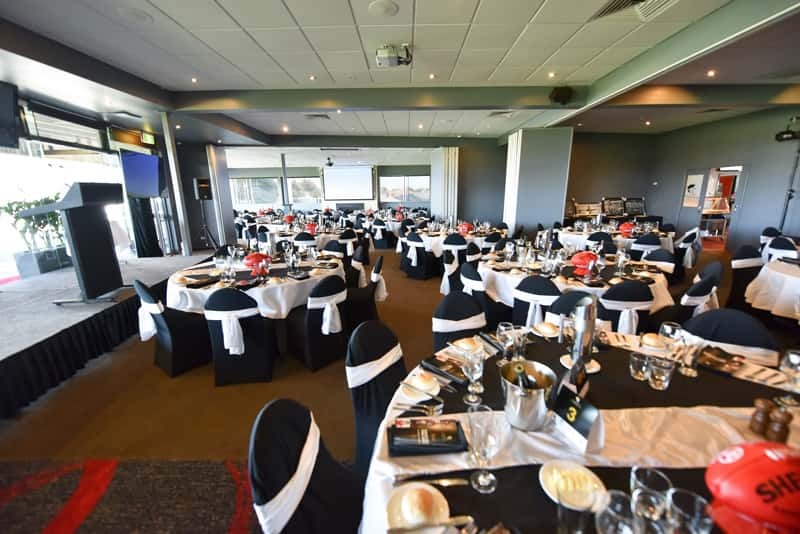 The North Ballarat Sports Club has three function rooms perfect for your next private or business event. When looking for a venue for your next corporate event, conference or celebration why not visit the NBSC and see why your next event should be up North! The North Ballarat Sports Club will tailor your celebration or corporate function so you enjoy a memorable and successful event. With ample parking and great views from our function space, it is an excellent choice for you. We have a range of modern and flexible function rooms that can fit events from conferences, training, presentation dinners, birthdays or workshops for example. The ideal location for large scale functions. As our main function area, this is a room that delivers on our promise of a modern and relaxed atmosphere. Enjoy an accommodating and flexible space that caters for dining, dancing and fun times including bar access. The flexible space ideal for most functions. A flexible room that can cater for typical events and functions in a modern and comfortable space. This is a room perfect for small to medium meetings, birthdays and family events, wakes and or larger dining and functions. Our compact area for smaller functions. 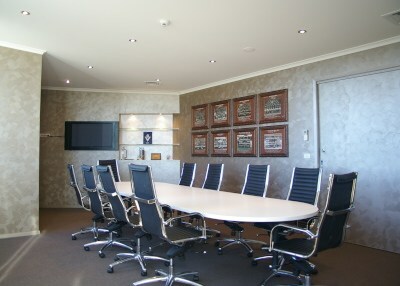 A smaller meeting room sized space with all of North Ballarat Sports Club's modern ammenities. This is a room is well suited to small events, business functions, social or sporting club meetings or smaller dining/functions. Easy access for disabled guests is through our main entrance. We have no hidden cost. all costs are spoken about and confirmed with the event organiser prior to the function. If a request comes through on the day from a client this will also be discussed. We require the room hire to be paid on confirmation of the booking as a deposit. An invoice is then sent out after your event which needs to be paid within our terms and conditions or you can pay the full cost of the event on the day/night. Premier and VIP room have AV and projector access, screen and wifi. Additional costs may include security or room decorations for example. NOT SURE WHICH ROOM SUITS YOU BEST? Our functions service team pride themselves on offering a highly personalised service and will work with you to customise a package to suit your needs. Please contact the Club to discuss your function at your convenience. Or click below to use our handy function builder form to organize your function needs. 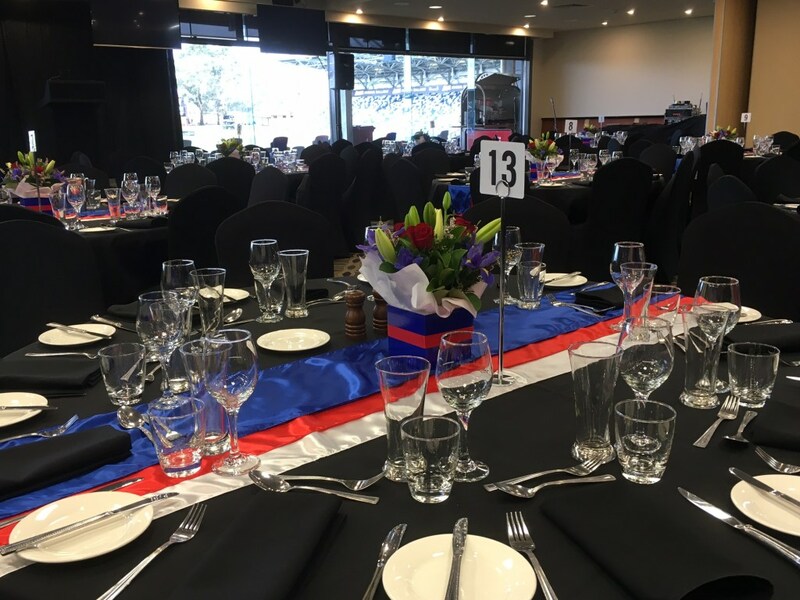 If you have any further questions about holding a function at North Ballarat Sports Club, feel free to send us a message using this form and we will endeavour to respond to you as soon as possible via phone or email. Alternatively you can use our function builder to provide us with more details on your event allowing us to provide you with the relevant information you require.